It's done on an informal basis, at least among the adult camps. I know of a few people who've been plenty of times and never got one. I got one on the final day of my 4th camp, last year. Someone's gotta think of something that suits something that happened to you. In my case, my knucklehead pilot hit the wrong switch on the landing gear at the end of the LDM on the week long "Hoot Camp" last year. I'm still seething over that. One guy on my team said they should call me "Skidmark" as I surely would have left one on runway 33 at Kennedy. I pancaked the orbiter at the end of the runway, trying to keep the bottom clear as long as possible while the PLT fiddled with the switches and never hit the right one. With Hoot Gibson watching, no less. An otherwise perfect landing ruined. Hoot heard the proposed name and thought it was apt. I couldn't very well say no to Hoot Gibson, now could I??? One woman on my team lost her orientation on descent in the orbiter, outran the HUD and we pancaked into the swamps of Kennedy Space Center. The team dubbed her, "Swamp Fox" accordingly. As I recall, nobody else got a callsign from that week. My point is, you have to have something like that happen. And it doesn't happen to everyone. Some people, it never happens to. It's usually for something you're annoyed or embarrassed by. That's how it usually worked in the military among aviators. Either that, or a modification on your name. The Navy started all this and the USAF picked up on it eventually. The Army aviators did to a degree, but never as much. Some examples; I flew in a Huey helicopter once with a pilot with the last name of Mayberry. They called him, "Opie". On my second Chinook ride (one of only two I had a correct landing in), there was a guy on the crew with the last name of Massengill. I guess any adult reading this could imagine his call sign. I had a couple of callsigns over comms in the Army, too, but they were for tactical operations and usually position-specific. I had an official callsign in my last unit of either Ratchet 5 or 6 depending on the timeframe when I was the unit commander. If I was running ops away from the home unit, sometimes the callsigns would be mission-specific. You had to know those well in advance for the operations orders. On one, the Brigade XO was a huge Beatles fan so for him, I was "Eggman," my NCO was, "Walrus" and completion of the exercise had a code phrase of "Coo Coo Ka-Choo". Crossing the line of departure at the start, we called in with, "Blue meanies". We also had nicknames that we sometimes used on coms when sleep deprivation hit in and we'd get silly (one time, after 5 days with no sleep and hard-charging every moment, I started hallucinating big time). I was called, "Hollywood" as I'd done work on TV shows and films for historical consulting. I was also called, "Grandpa" for a while as I was the oldest LT in the Brigade (I was 28 when I became an O-1, pretty old to be starting out). Last edited by p51 on Thu Oct 05, 2017 4:10 pm, edited 1 time in total. I was just confused because I've been through all levels of SC (except adult) and nobody has ever gotten a callsign and the counselors have never mentioned one. I have met a few folks who have had callsigns but they also happened to work at AC. Are callsigns more common in AC considering it's supposed to be more military-based? Callsigns are definitely more a thing on the AC side of Camp. I believe every AC camper gets a callsign. I believe all counselors get a callsign early in training as well. Which may be part of the confusion as many SC counselors are known best by their callsigns. On the space side, I've been to camp five times (three as a kid, two as an adult) and have never received a callsign nor been on a team with someone who did. In 2015, the year they did the three week long adult camps, I believe only two campers received callsigns. One girl was dubbed "gimbal" by Hoot Gibson after a particularly insightful question about the SRB nozzles gimballing ability. Another camper was dubbed MIA by his team after he fell asleep while watching The Martian and got left behind at the movie theater (at the mall across the street from SC). He was missing in action (hence the callsign) for a few hours after he woke up but was able to get a cab and was safely back in his bunk later that evening. As others have said, call sign assignments at Space Camp aren't common, and usually just nicknames more than call signs. I must have stood out from the crowd enough to be granted a nickname that stuck through two camps, ten months apart. The sims counsellor that gave me the nickname was my team counsellor the following year. Nobody else at the youth SC camps I attended were ever given a nickname that stuck more than a few hours. At my first adult camp, my team had a few call signs already among them, though I don't know if they got theirs at AC or sometime throughout their previous adult camps, or out in their regular lives. A few people were granted call signs that camp by those individuals. I don think the call sign discussion would have come up at all if these people didn't already have them. Now, that group of people formed their own team that returns to camp together each year (or two) and makes a habit of assigning call signs to everyone that joins them. Interesting to note: Staff at Space Camp and Aviation a challenge are not allowed to use call signs or add them to their name tags unless they have completed a certain level of Aviation Challenge training and given a call sign in an official way. 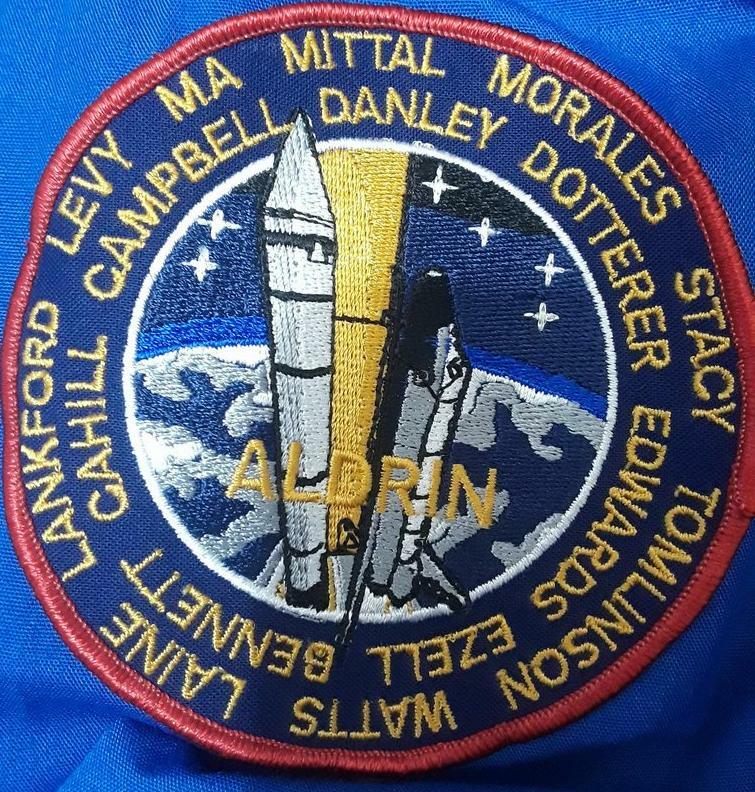 When our team gave a call sign to one of our counsellors, she wasn't able to wear the name badge we made with her call sign because she didn't earn it in the approved Space Camp (er, Aviation Challenge) way. Call signs are a very military practice, so it makes sense that they regularly happen at AC but not SC. 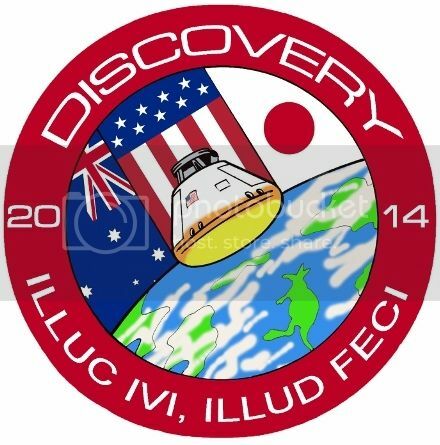 I have been to Space Camp many times and Aviation Challenger 4 times. I only got the call sign at Aviation Challenge. It was part of getting to know each other. We had to tell an embarrassing story about ourselves and our team mates would choose our call sign. I got Conan, because I am a Librarian and it was a nickname I used when I played paintball. I told an embarrassing paintball story and explained the name. When I went with nephews to the Pilot/Copilot program, I anticipated correctly that they would let the child choose the adults call sign and vice versa so I coached my nephews to choose the same call sign. At graduation from the adult AC, they even gave us a name patch for our flight suit that had our call signs on it. Sometimes, a camper would earn a new call sign over the course of the camp. Usually by doing something stupid. One of my teammates became Autopilot because she left the autopilot on and it flew her plane into the ground. I never was given a call sign on the Space Camp side, although I noticed it happening once or twice the last couple of times I was there. As in the MIA case which I was there for.